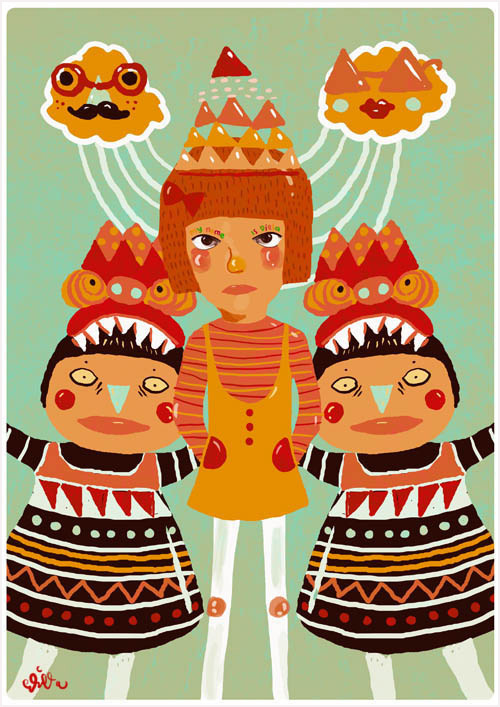 Diela Maharanie also known as Bloody Kirka is an illustrator based in Jakarta, Indonesia. Growing up she learnt karate, ballet, math, and journalism but she always felt that something was missing in her life, her true calling. 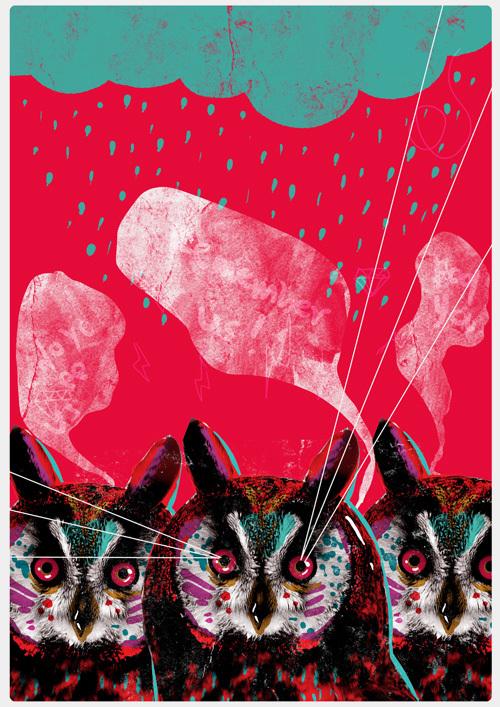 At that moment she decided to start her career as a professional illustrator, for which she let her mind to wander to places that you couldn't imagine. 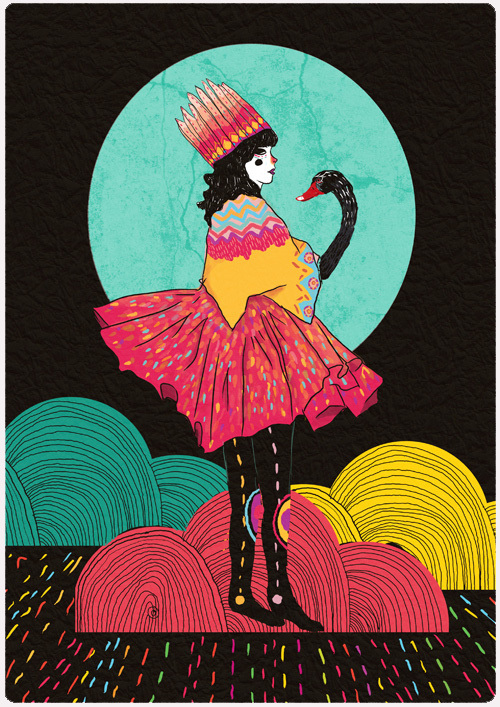 Her art depicted animals, human figures, imaginative characters from another world with a hint of Aztec vibe. 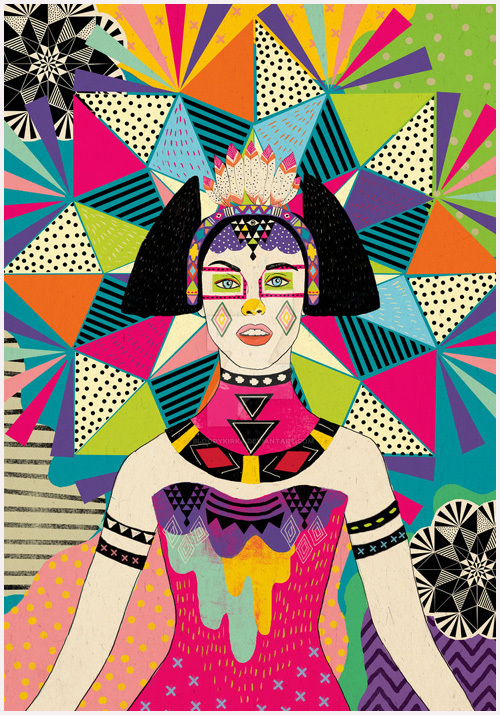 Diela describes her art "as an idiosyncratic colors and pattern madness!" That is so true. 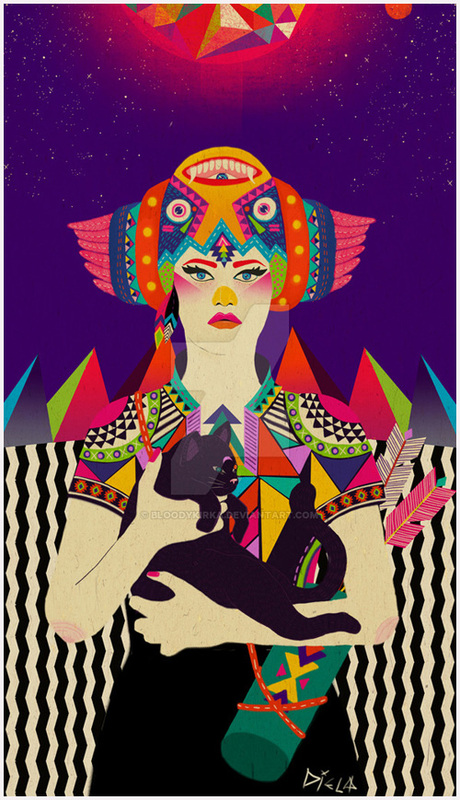 I am swooning over her art full of amazing bright colors and psychedelic patterns.